A Horsham headteacher has issued a warning to parents after she said that a pupil was approached by a stranger in the Bishopric. Shelley Dutson, headteacher at St Mary’s School, sent out a letter to hundreds of parents following the incident on Wednesday afternoon (May 3). She told the County Times a year six pupil had been walking home from school when he stopped to have a sit down on a bench in the Bishopric. A car pulled up in the road and a man asked the boy if he wanted a lift. He ignored him and walked home. 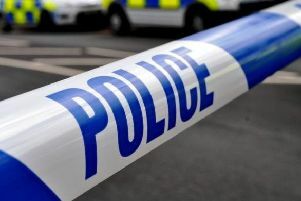 The pupil had described the man as black, in his mid 30s and wearing a hat, the head teacher said. Mrs Duston immediately sent out a warning email to parents. She explained Year 5 and 6 pupils were allowed to walk home on their own. “I have also used the opportunity to speak to our Year 5 and 6 pupils to give them a warning on stranger danger,” she added.